Ok, so we have already established that I love curry and I love soups. This soup is just another addition to my “MUST MAKE THIS AGAIN!” list. It is bursting at the seams with flavour and it makes enough that you are guaranteed to have lunch the next day. I chose to use the green lentil as I find green lentils keep their firm texture even after cooking. 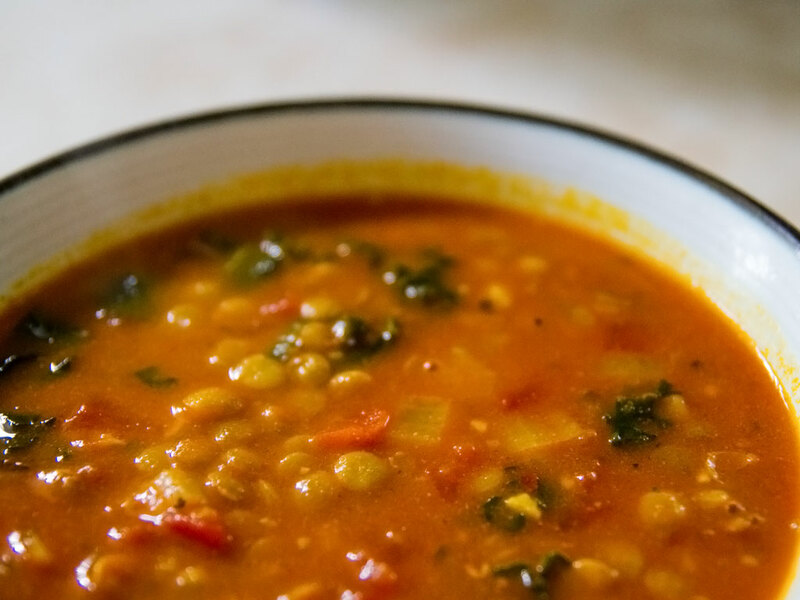 If you prefer to have a thicker soup with a little less texture than use the red lentil. What are some of the other differences between lentils? Well I am glad you asked! Brown Lentils are the most common variety. They can range in color from khaki-brown to dark black, and generally have a mild earthy flavor. They cook quickly in about 20-30 minutes. The blackest and tiniest lentils you find are usually Beluga lentils, which have a rich and deeply earthy flavor. Now Green Lentils can be pale or mottled green-brown in color with a glossy exterior with a robust, somewhat peppery flavor. They generally take the longest to cook, upwards of 45 minutes. This makes them ideal for salads and other side dishes. Red Lentils colors range from gold to orange to actual red, these are the sweetest and nuttiest of the lentils. They’re somewhat in the middle of the road in terms of cooking time and are usually done in about 30 minutes but they tend to get mushy when cooked through. There are 23.7g net carbs, 15.1g protein and 7 Weight Watchers points per serving. In a large pot, heat coconut oil over medium heat and stir-fry the onion, garlic and ginger until the onion is translucent. Add the fresh lime juice, vegetable broth, coconut milk, diced tomatoes and lentils. 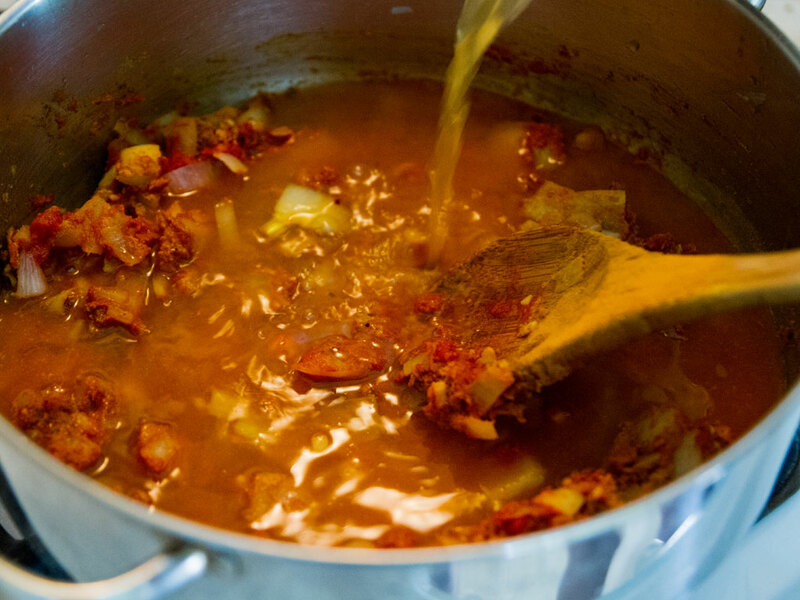 Cover and bring to a boil, then simmer on low heat for 20-30 minutes, until the lentils are very tender. Season with salt and pepper. 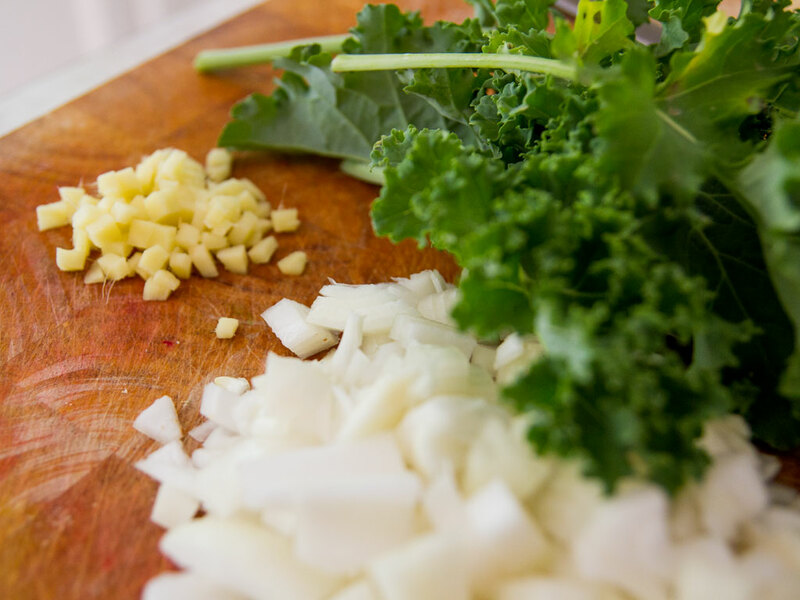 Before serving, stir in the kale and garnish with cilantro and/or vegan sour cream such as Tofutti.